Please help us create a collection of stories and personal experiences. Our goal is to create a vast collection of stories and personal experiences related to religion, belief, and the things that people really care about. We feel that there is a lot to learn on how beliefs come into existence and on how beliefs and spirituality influence behaviour and decision making. In an effort to learn more, we sought out help from religious and non-religious communities on Reddit. We posted to one group per day for fifty days. 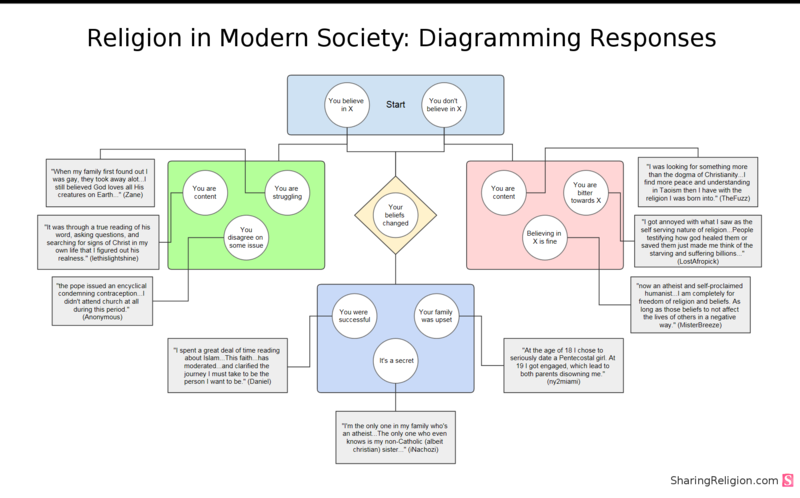 Below you will find a diagram of the basic types of responses that we received. 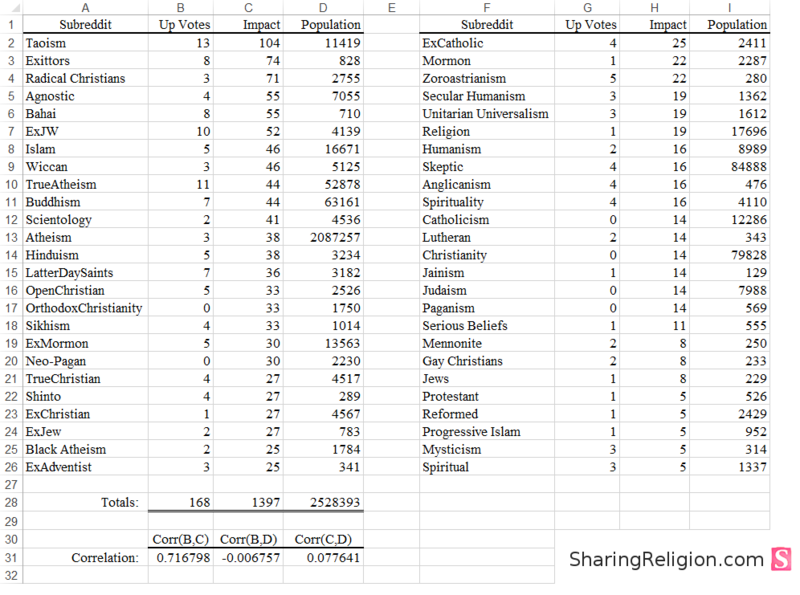 We also recorded data on how willing users were to respond and share their experiences in an interfaith setting. Below you will find a table of data featuring the community up votes, impact, and population size. The impact estimates the total community response from our inquiry. (3) the wording of the inquiry message.